As company owner I oversee sales and project management as well as promotion of the business. 2. How did you arrive at EV Support? I started EV Support in 2009 to provide EV Charging solutions in Seattle Washington for drivers of electric vehicles. Transportation is our biggest greenhouse gas emitter. If we are to make the switch to electric vehicles there must be simple and reliable charging available to EV owners. This need has created a new business opportunity that we have participated in from the beginning, so we want to take advantage of our position in the marketplace. Since this is a new type of business, there aren’t many examples to follow, but SolarCity and Tesla Motors combining of solar energy and electric vehicles is one that we have studied and emulated to some extent. Also, it has become apparent that this is a service business similar to plumbing or electrical service businesses, so we have tailored our operations to fit that model to some extent. I’m inspired by others who have broken ground with new sustainability businesses and in particular, Elon Musk because of his dogged pursuit of goals that are similar to ours. 6. Who's EV Support (corporate profile)? 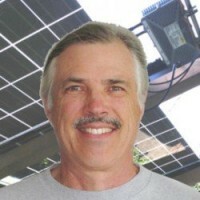 EV Support is a division of Puget Sound Solar LLC. We are a General Contractor and an Electrical Contractor in the State of Washington. We have 28 employees and a 6,000 sq. ft. warehouse in the center of Seattle. 7. What makes EV Support different? EV Support is more than just an electrician who installs charging stations. We also provide design, sales, and maintenance services. We have been driving electric cars since 2006 and have installed more than 700 charging stations since 2010, so we have more experience with products, codes, siting and installation challenges, and maintenance than any other general electrical contractor Seattle Washington of our size. We sell, install, and maintain EV charging stations. We are focused on the markets in King, Snohomish, Pierce, and Kitsap counties, but we also do some work elsewhere in the State of Washington. 10. Who are EV Support customers? Most of our customers are individuals who have purchased, or are planning to purchase an electric car. We also serve commercial establishments and governments, a growing portion of our business. 11. When did you get your first website online? EV Support put up its first website in 2009. 12. How important is your website to generate sales leads? The website is particularly important for reaching individual EV purchasers who need charging stations, and it is increasingly vital for getting the attention of government purchasing managers.